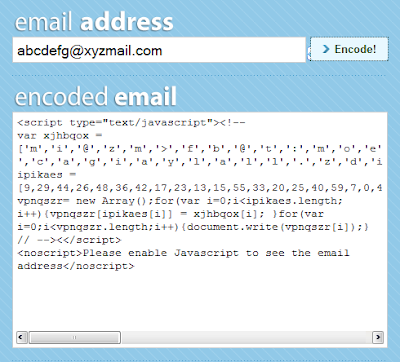 MailTo Encoder - Make your email address unreadable to spambots ~ Android Forever! The war on spam continues with this useful browser app. Use it to easily encode your email address before you post it on any web page. To the human user it appears to be your address, but to the bots, it is essentially unreadable.